Rob joined Cotswold Archaeology as a Principal Heritage Consultant in 2011 and became Head of Heritage Consultancy in 2013. Since early 2015 he has also been Head of the Milton Keynes Office, overseeing fieldwork and post-excavation projects, as the office has grown to over 50 staff. An archaeology graduate from Bournemouth University, Rob worked as a field archaeologist in London before joining Atkins in 2001 as a heritage consultant. 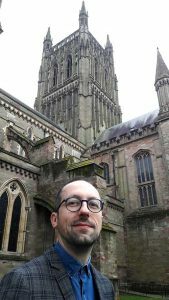 Rob is an expert in assessing the impact of new developments on buried archaeology, historic buildings and historic landscapes. He has prepared multiple proofs of evidence, and served as an expert witness on heritage matters. Recent commissions include advising on renovations to listed dwellings, a large residential development within the setting of a castle, and a major off-shore wind farm. He is also at the forefront of developing best practice and industry guidance. He devised, on behalf of Historic England, the methodology for assessing the effect of intrusive noise on heritage assets and he is currently part of an advisory panel directing the production of new CIfA / IHBC / IEMA Cultural Heritage Impact Assessment Guidance. Rob also has authored several heritage management plans in the UK and a management plan for the World Heritage Site of Bahla Fort and Oasis in Oman. Rob has overseen the involvement of staff from the Milton Keynes office in a variety of major fieldwork projects in the eastern half of England, including work in advance of residential development at Brixworth, Northants; a freight terminal in Daventry and large-scale transport and energy projects.